I often sit around in my craft room and just look at all of the stuff I have when trying to come up with an idea for a wreath. 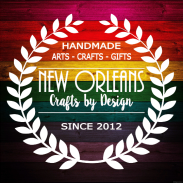 I very rarely go out and buy something specific unless I am creating a custom order for a customer. It has gotten to the point that even my mom tends to pick things up for me when she is out shopping. 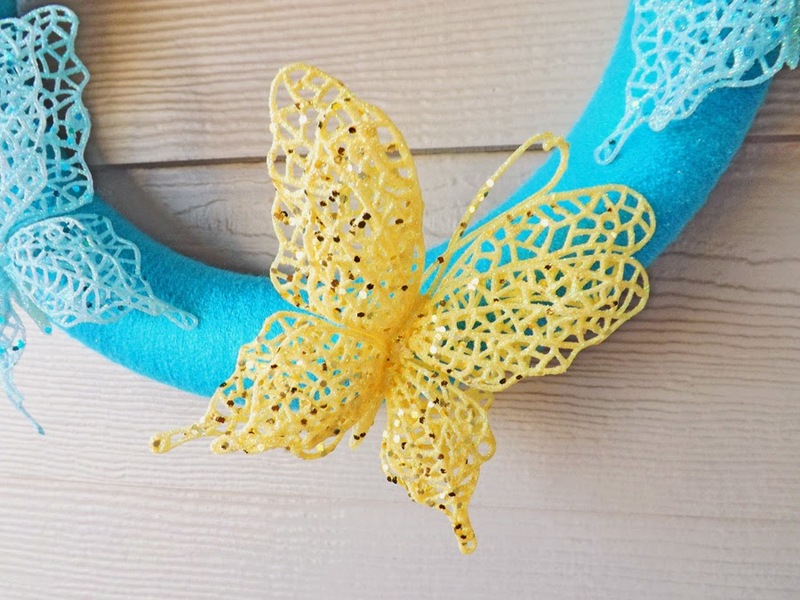 She recently bought me these large blue and yellow glitter butterfly garlands. I wasn't sure what I would do with them but I love butterflies and I love glitter. 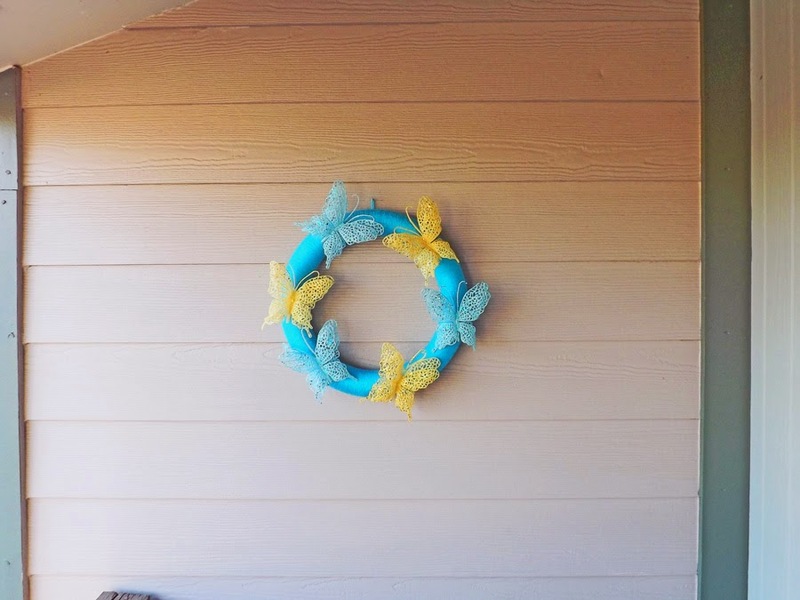 After they sat there for a few weeks I decided to try to incorporate them into a wreath. 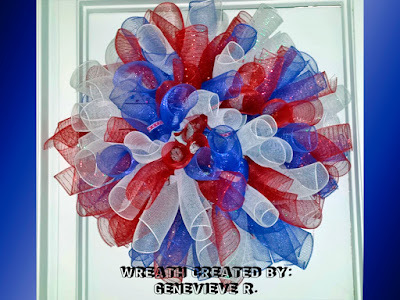 I started with a 14" styrofoam wreath form. 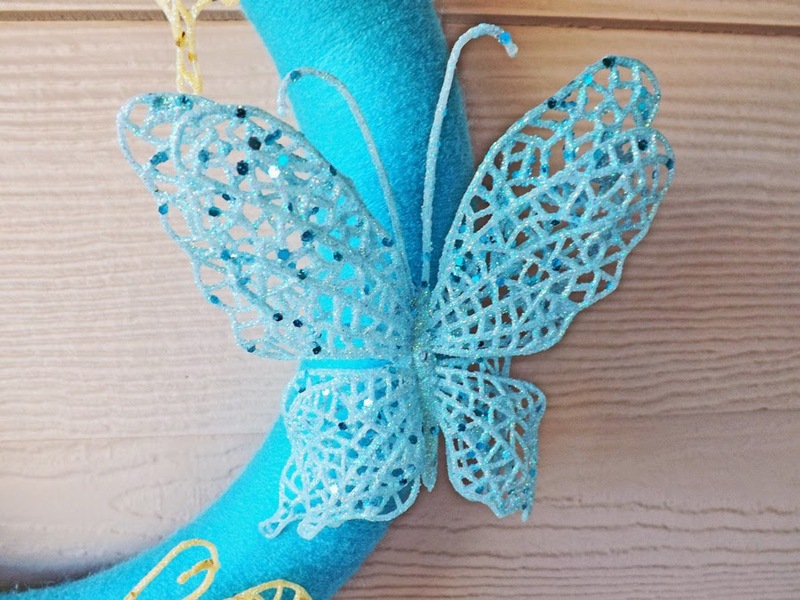 I had a turquoise yarn on hand that I figured would look really good with the color of the butterflies. 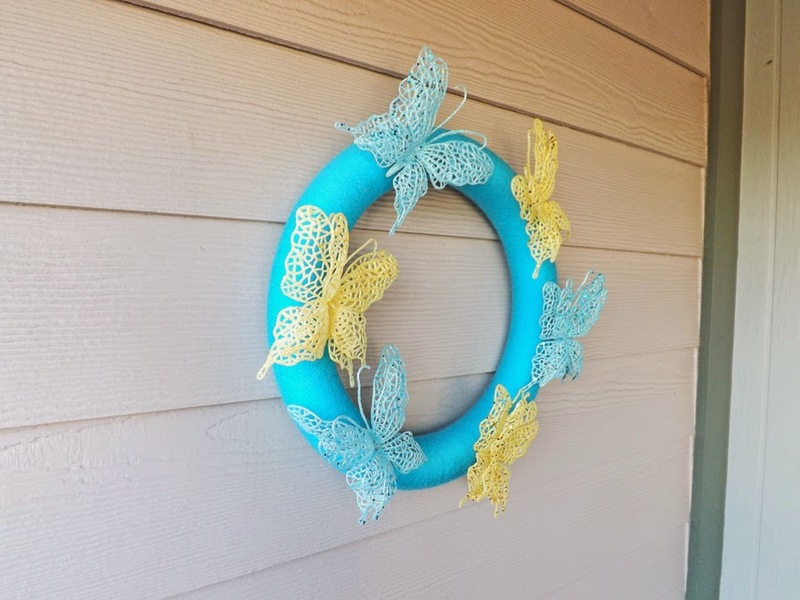 I pulled a few of each color butterfly from the garland and attached them to small skewers and then attached the skewers to the wreath. The finished product was much better than I had envisioned it to be. Very colorful and "springy." 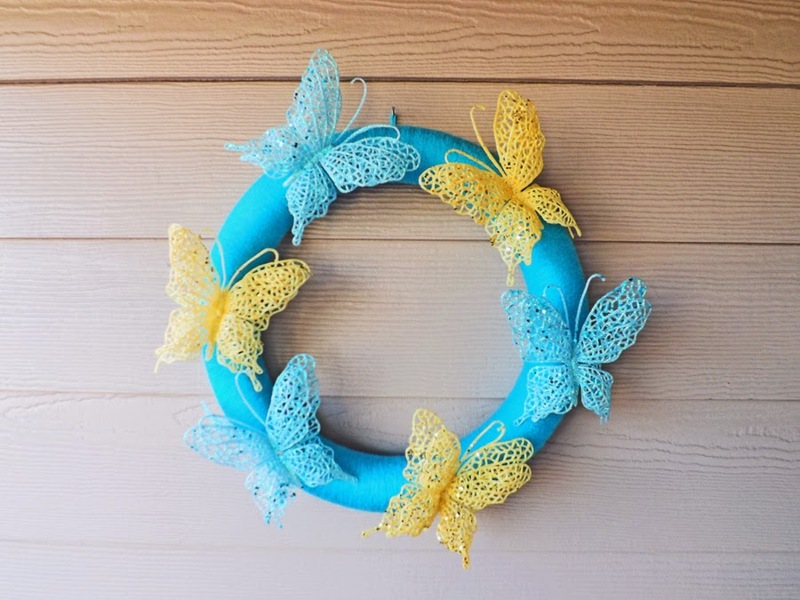 This wreath is currently listed in my Etsy Shop as of 04/05/2014.